Balinese frames were cut and installed on the top crown of cabinets. Warm gel colors were used over lights behind them. Concrete counter slabs were poured using fragments of copper pieces. Copper screening backed with strip lighting in red interior cabinets flanks the hood. 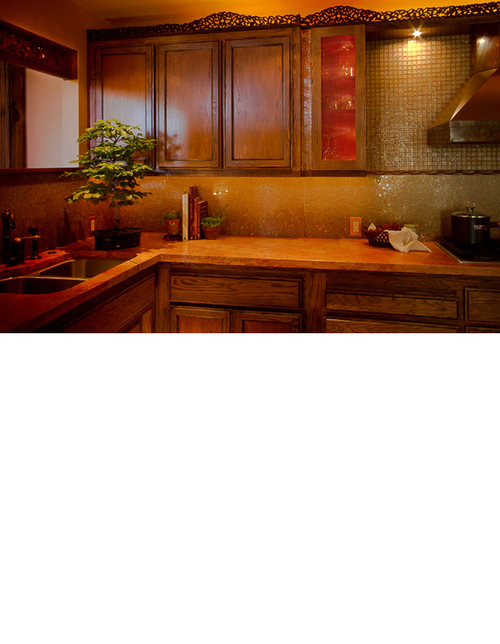 What was a small kitchen lit only with fluorescent, was expanded to include natural light from two ends of the house. All materials were selected for their reflective qualities. Original oak cabinets were stripped and stained with ebony pigments. The center panels were dusted with copper and clear coated. Back splash material is made of fragmented automobile glass by Ellen Blakely. 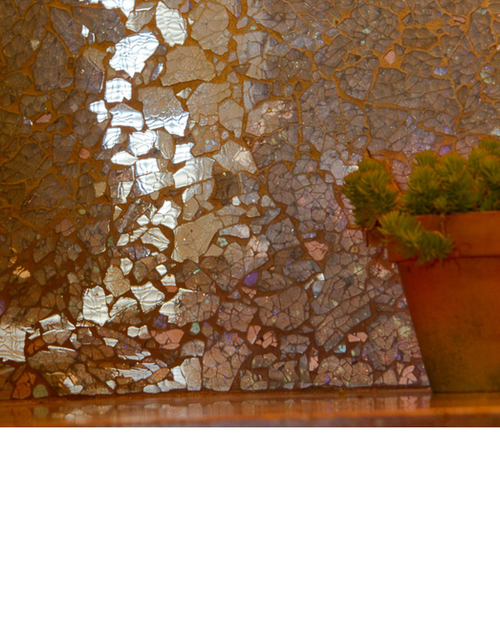 She backs the glass with various reflective papers and cracks are filled with copper grout. The openness of the kitchen allows for the family room to be part of the kitchen, and preparing food, a central activity.